pinterest has been a game changer in my business. 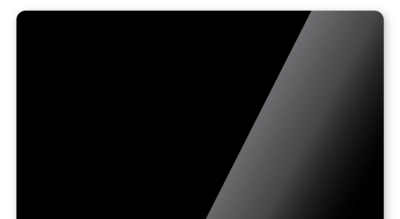 it brings in thousands of new leads every year to my website doors & it can do the same for you! 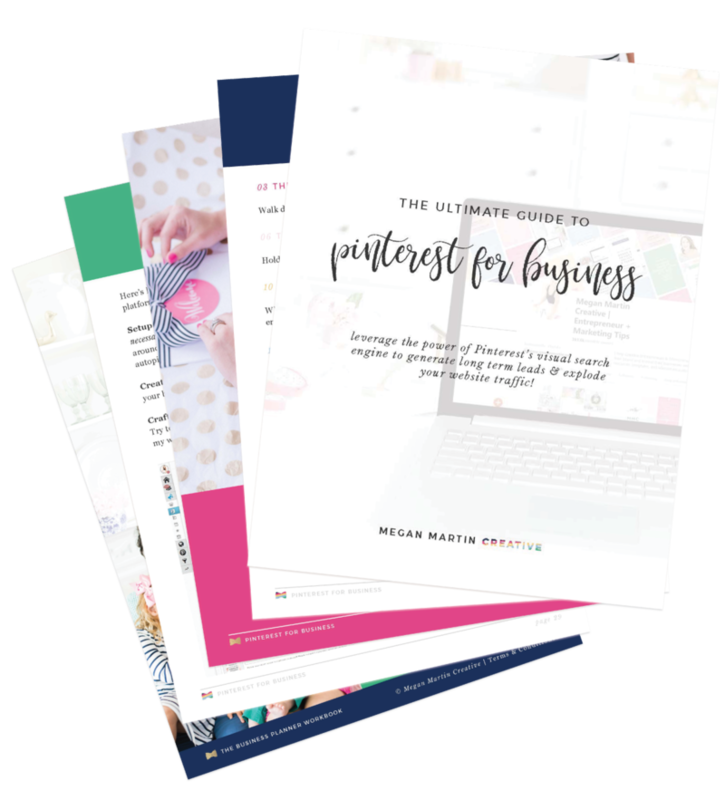 In this 35 page downloadable guide, I'm sharing my entire strategy for leveraging the power of Pinterest Marketing including how to use the platform if you're a shop owner, service provider, or blogger and the system I use that has consistently increased my website traffic each month with minimal long term effort! I took it to an IG Story Poll: What marketing platform do you need the most help with? The answer that (surprisingly!) won by a landslide? Pinterest. Learn how to generate long term leads & explode your website traffic with the power of Pinterest Marketing. And finally figure out how to optimize your pinning efforts to increase sales! Get access to an exclusive BTS look at my website analytics and learn about the simple numbers I track in Google Analytics to assess the success of my marketing efforts! You heard right! I brought in the queen of Pinterest Marketing Strategy herself, Vanessa Kynes! She's comin' in for the real thing to share with us the secret to Pinterest Success: Optimized Automation. *By purchasing this guide, you agree and understand that Megan Martin Creative retains the sole copyright to all content included. No part of this guide, in full or in part (including your altered workbook), may be sold, leased, loaned, assigned, transferred or given away. The Pinterest system for massive website traffic. Spoiler: It isn't that hard to master the platform. You just need this formula! 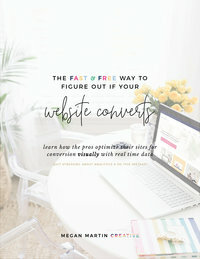 How to optimize your content and website so all that new traffic actually converts on your goals. The secret to pinning success with Guest Pinterest Expert, Vanessa Kynes. She's breaking down how to take your strategy to the next level with automation!